Utilizing the latest technologies and teaching techniques, we provide clients with cutting-edge graphical self-assessment tools and stimulating process-oriented content. We focus on teaching the analytical skills and decision-making tools that enable individuals and organizations to thrive in a complex world of competing goals and demands. On-line instruction driven by the latest technology, available 24/7, anywhere in the world. On-Site facilitated learning at client site conducted by an Ethics Coach with technology support. Off-site retreats for executive or management teams. Members of PSS hold workshops with groups of up to 50 individuals or with existing teams from within the organization, as well as offering individual coaching and relevant assessment methods. Our premier offering - The Good Life: Tools for the Responsible Decisionmaking in Business and the Professions™ -- was designed for professionals, business leaders and managers within both the private and the public sectors. 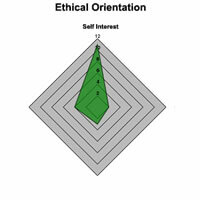 Through use of our proprietary self-assessment tool, The Ethical Orientation Diagnostic Survey,™ as well as our decision-making tool, The Ethical Pathway,™ participants are engaged in articulating, building and executing personal, professional and organizational strategies for improved accountability and responsible decision-making in an increasingly complex and 'connected' world. Most of us try to be ethical, at least some of the time. Although we may not always label as ethical our attempts to do the decent thing, to be caring toward those in need, or simply avoid doing harm, we are much more like professional "athletes" in ethics than occasional amateurs. We therefore do not so much need a teacher who would start us on the road to being ethical, as occasional contact with a coach or colleague, to "observe our form", and reflect for us our posture, style, and relative position. The role of the Ethics Coach is primarily to help develop alternatives. It is assumed that the client is already trying to do the right thing. The idea that the Ethics Coach will "get the client to do the right thing" confuses psychological or punitive measures with the genuine role of ethics coaching. If a member of any group or community does not want to do the right thing, namely, be ethical, motivations for a change in priorities may have to come from somewhere else. PSS Ethics Coaches are available both to groups and to individuals who would like to explore possible paths for improvement or discuss problems that seem to resist easy solution. Typically, an Ethics Coach can be available for the following interactions. Team Coaching: Groups of professionals who meet or interact on a regular basis may want to review whether they can improve their group dynamics by raising the level of ethical awareness or by establishing decisionmaking guidelines that each member of the group can support. Usually groups can benefit from 3 to 6 monthly sessions with the Ethics Coach. After that time most groups will have established their own methods for keeping the level of ethical awareness high. Individual Coaching: Most individual ethics coaching begins with a problem that makes it difficult for the client to follow the path of action they would otherwise see as the right one. Only upon reflection do we typically recognize that raising our own level of ethical awareness is often the easiest path toward improving the overall atmosphere. Individual ethics coaching should never turn into a session of passing judgment, since we usually do not need help with that, anyway. The minimum time commitment for Individual Ethics Coaching is two separate sessions. Floor Coaching: In some organization, an Ethics Coach may be invited to "walk the floor" of departments or the whole organization. In casual brief interviews and conversations with members of the organization, the Ethics Coach may get a better sense of the ethical flavor of day-to-day interactions. By meeting with a variety of people, the Ethics Coach will also become a more familiar figure, making it more comfortable for individuals and teams to consider a coaching relation. Floor Coaching should usually be limited to a maximum of two and a half days. The EODS allows individuals to assess their own ethical decision-making framework and the influences that may affect the decisions they make in personal and professional contexts. Specifically, the survey helps articulate basic ethical tendencies or orientations-the collection of values, beliefs and assumptions that underlie ethical choices. The EODS is an online, self-assessment instrument designed to give immediate graphic feedback on the relative influence of four distinctive decision-making styles. The centerpiece of the OEA is a simple online query whose results provide high level evaluation of where to focus further organizational efforts in 'culture-building' and values-oriented program development. Creating an effective set of standards for professional and corporate conduct is an increasingly complex task for organizations in today's global economy. The diversity of our workforce itself requires consideration of numerous variables that may affect and be affected by individual decision-making processes or styles. Although any organization's code of conduct is a unique declaration arising out of the vision and interpersonal dynamics particular to that entity, some guideposts are central to the development of a thoughtful statement of ethical behavior. As organizations work to develop a meaningful statement, it is therefore helpful to consider a basic conceptual framework, and the questions it may inspire. Our web-based Ethics CODEbuilder™ (ECb) enables organizations to build a set of standards through a collaborative enterprise-wide process conducted 'online' through use of our proprietary conceptual templates and discussion-boards format. An ethics program is essential to the well being of any business and its employees. Do you have the Four Fundamentals in place? View our Article: Business Ethics Foundations: Key Elements of a Successful Ethics Program. For small business that do not have the resources to develop and support a full-time in-house ethics program, we provide all of the functionality and benefits at a fraction of the cost with our Remote Ethics Program. PSS will function as your ethics program, providing Codebuilding, Training, Personnel Support, and other important aspects of an ethics program. Plus, in addition to saving money, you have the satisfaction of knowing you have true experts building your company's foundation. Plus, we are offering a free consultation to examine current ethics programs, training and strategies at your organization! Contact Us to schedule an appointment.